Are you ready to sit with me in the caravan of love? No? Fair enough. Sounds right dodgy to be fair. 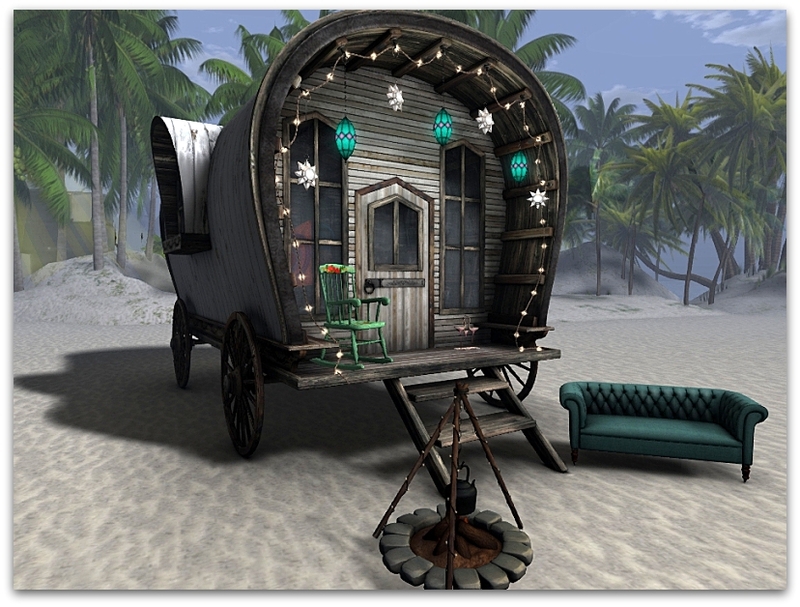 I can honestly say I am IN love with this fab Tiena caravan from Trompe Loeil though. Isn't it gorgeous? You can go and have a looksee for yourself at faMESHed and then you can decide which colour you like the best. I am showing is the Seaside one. The Chesterfield couch outside is also from Trompe Loeil and is also at faMESHed. The fire you can see here a friend gave me. It is the Foxes Travelling Heart Campfire Dark and he got it at The Epiphany. He also threw me the flamingos from SAYO from the same event. 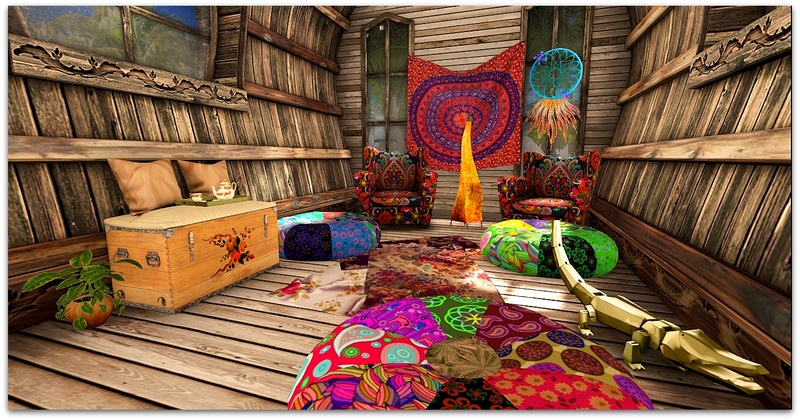 The lovely rocking chair is from Cleo Design and is one of the items from The Challenge where this month's theme is Boho. I have plenty more to show inside!